Are you still losing 70% of your internet business? You might be wondering whether or not your website is mobile friendly. Since mid-year 2013, mobile usage for internet surfing has outpaced desktop computers. When we say mobile, we mean iPhone, iPad, Android phones and tablets. These account for the largest group of users on the internet. By today's account, this represents about 70% of your potential customers. If your website has not been updated recently, you may be causing customers to turn away. This is relatively old news, but I see it still needs to be covered. A properly designed website reformats to work with the existing device, whether it is a phone, tablet, laptop, or desktop computer. A non-mobile website simply gives you a reduced view of your website without reformatting. Although it may work fine on the desktop computer, an iPhone or tablet user has to zoom and scroll and has difficulty selecting links, making for an unpleasant user experience. A mobile friendly design is essential for the purpose of being found in Google searches, too. 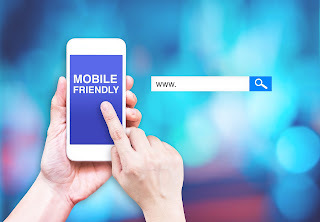 Google has stated they will not include non-mobile friendly sites in their index for mobile. Sites will still be indexed for desktop, though. Check if your site is mobile compatible. To clarify, if a search is done on your domain name or company name, you'll likely appear regardless of device. I tested this myself on a handful of sites and found this to be the case. However, other search terms on mobile devices such as shingle roofs, residential plumbing, pizza, etc. likely will not appear for a non-mobile site on mobile devices. Whatever terms applies to your business, can you afford not to be found?